Quantity This product is not sold individually. You must select at least 1 quantity for this product. 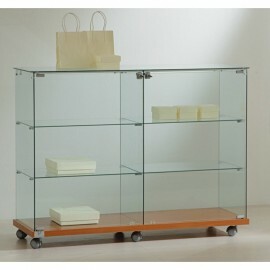 Description: Is a display case to counter, with laminated base, walls and tempered glass shelves. Door with lock, 2 fixed shelves inside. Glass top, base on 4 castors (2 with brake). Laminate is available in the following finishes: medium gray, cherry or Wenge. For more information, call 049.8710777 o compila il modulo sottostante. 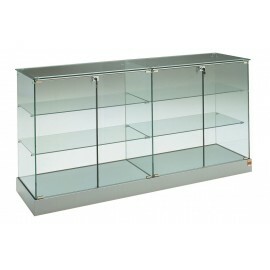 Description: Is a display case to counter, with laminated base, and walls and glass shelves. Tempered glass doors with lock, 2 fixed shelves. Laminate is available in the following finishes: aluminium grey, cherry or black. Weight 90 kg EXTERNAL DIMENSIONS: 93x60x90h cm For more information, call 049.8710777 o compila il modulo sottostante. 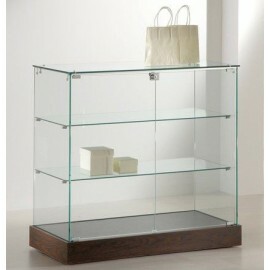 Description: Is a display case to counter with laminated base, and walls and glass shelves. 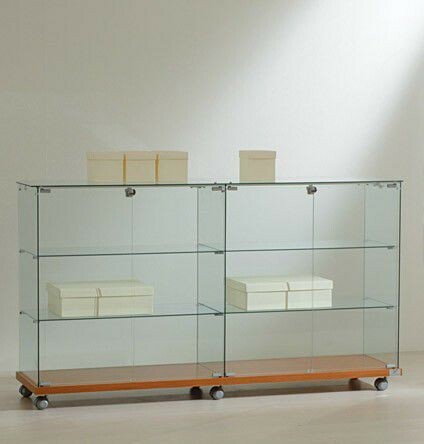 Tempered glass doors with lock, 2 fixed shelves. Laminate is available in the following finishes: aluminium grey, cherry or black. Weight 160 kg EXTERNAL DIMENSIONS: 142x60x90h cm For more information, call 049.8710777 o compila il modulo sottostante.